There's something about Lieb Cellars that is just so inviting and personable. I'm not just talking about their wine, but the company itself and the people. I've never been there and I've never met them but I've been in communication with them here and there and they're just an awesome, enthusiastic group. I proudly consider this winery a friend of the blog. I was having a hard time coming up with an article topic for July. August will be the return of Bulgarian Wine Month so there will be another Bulgarian article then, and the article I'm planning for September is gonna take a TON of research. Well it turns out that the wines I'm reviewing in July are all from American wineries, just in time for Independence Day. Lieb Cellars, Ferrari-Carano and Matchook. Nothing American themed came to mind, but I have written A Brief History of Matchbook Wine Company. 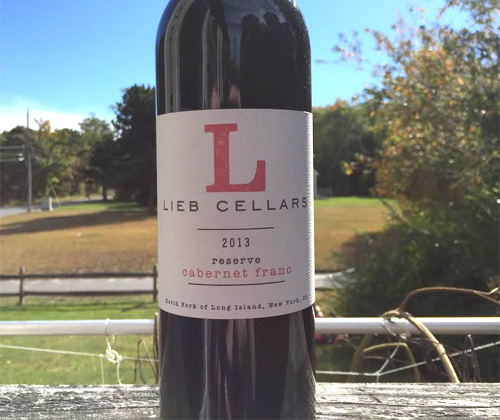 Why not do the same with Lieb Cellars? A bio of an American winery! Good idea! So let's take a trip to Long Island, New York. Where I'm assuming hairspray and long nails still reign supreme, and they have no interest in paying for new stadiums to keep their hockey team. Yes, they make wine on Long Island. 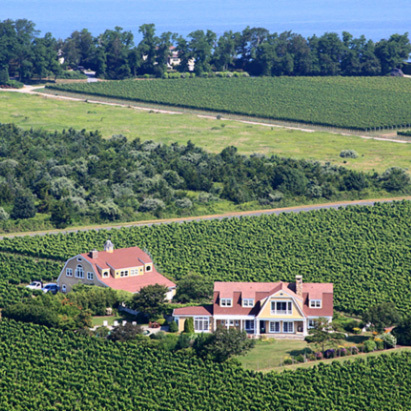 There's even two AVA regions: the North Fork and the Hamptons. Long Island sticks out kinda like a claw. The upper claw is the North Fork while the lower claw is the Hamptons where Howard Stern stays inside his home in fear of catching a cold. 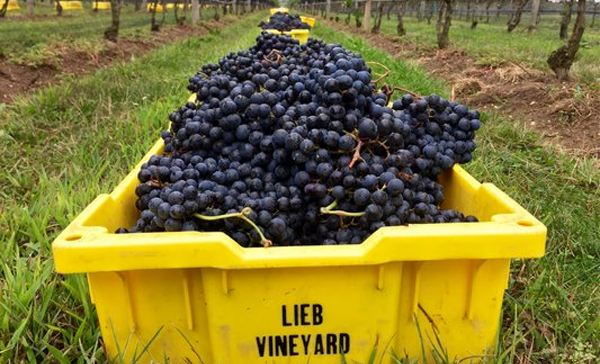 Lieb Cellars is located on the North Fork, a region that has found that its terroir is best suited for a vast selection of cool climate whites and Bordeaux varieties for reds. The story of Lieb Cellars starts with a little serendipity on the part of Russell Hearn. Hearn was born into the winemaking world in Australia, with 1980 being the start of his official career. He worked his way around the globe: New Zealand, Burgundy, California, Massachusetts and, in 1990, Virginia. Hearing about the wonderful Chardonnay being made on Long Island, he took the trip there with other winemakers to see what's doin'. He noticed something strange about the Chardonnay vines at one of the vineyards in Cutchogue. He told the owners, and I'm paraphrasing here, "I hate to be a stickybeak but that's not Chardonnay, mate! What you've got there is some ripper Pinot Blanc!" Aaaaaaand the entire 14 acre operation went up for sale the very next day. Hearn went back to Virginia. At this time Marc and Kathy Lieb wanted a hobby and a house with a nice view. Growing vines, making wine, and a house surrounded by vineyards sounded perfect to them. So they bought those 14 acres of Pinot Blanc plantings and Lieb Family Winery was established in 1992. By then Russell Hearn was back on Long Island and working for Pallegrini. He started buying grapes from the Lieb's and moonlighting as a consultant for them. The Lieb's were already successful at their careers in finance and stock management, but they had no idea how successful their new hobby would be. It's not just because of somebody else's planting mistake turned out to be an incredible one. It's their own fault. Their ambition and their demand for both quality and affordability quickly turned Lieb Family Winery from a hobby business into serious business. They continued expanding their operations and land. In 1999 they introduced their Reserve line, guided by Hearn, and in 2000 they opened their own crush facility called Premium Wine Group. No longer did they have to make their wine using Paumanok Vineyards' equipment. They also converted a barn into their Oregon Road tasting room in 2000. The following year Hearn went from being a consultant to their first full-time winemaker. In 2004 they released an introductory, value-priced brand named Bridge Lane. In 2005 they received a Federal Grant from the US Department of Agriculture Conservation Security Program for their commitment to sustainability and philanthropy. All the while their flagship Pinot Blanc lead the way, winning awards and pleasing palates. Their sparkling Reserve Blanc de Blancs, made from Pinot Blanc, was killing it too. It all got to be too much for Marc and Kathy Lieb. Their other business was even more successful and needed them more to operate on a daily basis than the winery did. The decision must have been heartbreaking, but they had to sell the winery. 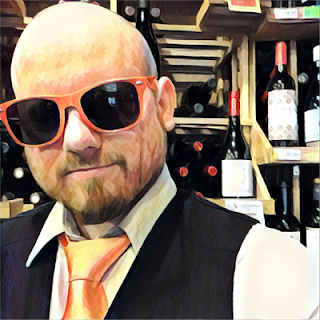 Marc told Dan's Papers (Mark Lieb Discusses Selling his North Fork Winery), "Between my family, and my other company - Spectrum Asset Management - growing beyond my expectations, by becoming the largest preferred stock manager in the world, I found I could no longer give Lieb Cellars the attention it deserved." The deal was done in April of 2013. All of the property, including their house in the middle of the Pinot Blanc vineyard, and their majority shares in the company were sold to the private equity firm South Port Lane Management LLC, who then sold it to private investors. 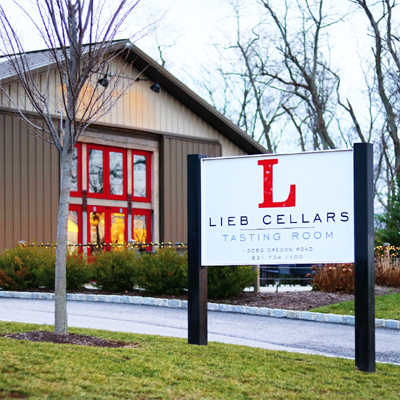 Lieb Family Winery became Lieb Cellars. It was merged with Premium Wine Group and Bridge Lane into one publicly traded company, Premium Beverage Group. A new, optimistic and focused team was assembled. 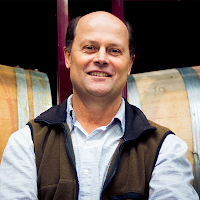 Russell Hearn remained the winemaker and the primary muse of the entire operation, with Richard Bailey as CEO and Ami Opisso as GM. An additional tasting facility was built just for Bridge Lane, separate from the Lieb Cellars' Oregon Road, and two new vineyard sites were leased. 2013 was an exciting year for Lieb. And then 2014 came with a rebrand. New logos and package designs, screw caps on all bottles, new approaches to marketing, new websites, new tasting room designs, farther reaching distribution, everything. I personally love the new bottle packaging of the Lieb Cellars brand because they're simply stated yet big in personality. And their marketing and social media staff? ALWAYS ON POINT. This rebrand was incredibly well done. 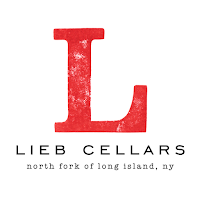 As reported in the North Forker (Lieb Cellars and its brand makeover: Uncork the Forks), separation of Lieb Cellars and Bridge Lane needed to be established and it was a big hurdle to clear in the rebrand. "We realized that Bridge Lane was struggling with a bit of an identity crisis," GM Ami Opisso told the North Forker, "It didn't know if it wanted to be a part of Lieb, kind of a part of Lieb or do its own thing... So we emancipated it. Bridge Lane is like Lieb's rebellious younger sibling." She goes on to say "Bridge Lane wines are for those who appreciate value, convenience and casual consuming. Snobs need not apply." 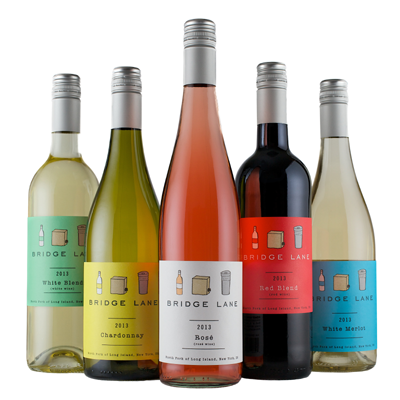 The Bridge Lane brand comes in bottles, bag in a box, and even disposable kegs. That's right, bro. I said kegs. I was stunned by how much I liked their Dry White Merlot, which I enjoyed late last summer. It's fun and simply delicious. I need to revisit it. They now have 4 sites and 85 acres, with the original 14 acres of Pinot Blanc that was planted in 1982 being the largest single-owned planting of Pinot Blanc in the country. 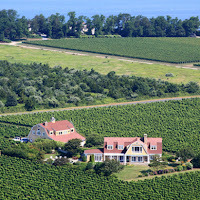 Half of their 85 acres are estate vineyards for Lieb, while the other half are leased for Bridge Lane. They have Riesling and Cabernet Franc that was planted in 1981, and Chardonnay that was planted in 1983. Their commitment to certified sustainable farming is still going strong. I can dig that. Because in reality, no matter what the certified organic obsessed person tells you, sustainable farming is the responsible way to go. You'll be hearing more about that from me in the future. After reading the history of this winery and what they're doing right now, it should be pretty clear to you that these guys aren't afraid to try new things and be innovative. But they also understand what they do best and won't do things just because everybody else is doing it. "We know we grow Merlot, Cabernet Franc, Chardonnay well. And of course Pinot Blanc, too," Hearn told Wine Spectator (Lieb Cellars Branches Out on Long Island). "Look, we get really good Cabernet Sauvignon two or three years out of 10, but even then we're not going to bottle a Cabernet by itself, because even when it's really good I don't think it's good enough to stand by itself. We have to focus on what we do best most consistently." You can get Lieb Cellars and Bridge Lane in Connecticut, Massachusetts, New York, New Jersey, Pennsylvania, Rhode Island, Virginia and Washington DC. And if they're not available in your state yet, they're aiming to get there soon. 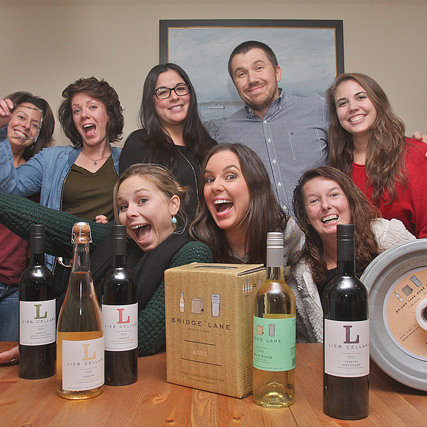 Lieb Cellars has big plans for the future and they're on their way. Check out LiebCellars.com.